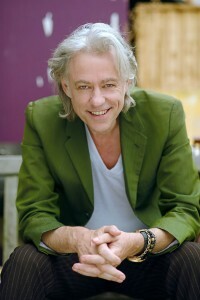 Sir Bob Geldof is heading to Sydney to head up a fundraising concert for the people of Queensland, New Zealand and Japan, as well as others who’ve been affected by recent disasters in other parts of Australia. Bob will perform tracks from his most recent album ‘How To Compose Popular Songs That Will Sell’, along with tracks from his extensive back catalogue at the Lyric Theatre at Star City on Sunday May 01. Russell Crowe’s wife Danielle Spencer will be there to provide support, along with Jon Stevens. And punters will not only enjoy the show, they’ll also sleep easily knowing that 100% of all income from the show will be donated to charity. said Sir Bob in a statement issued today. “I have experienced the generosity and compassion of the people of Australia, New Zealand and Japan first hand, so it’s quite humbling to be invited to lead the Rock and Rebuild effort, and give some support to those nations. “Long after the cameras shift their focus the people will still be rebuilding their lives. It’s important that we keep them in our minds and continue to lend a hand,” he said.